There really is only one piece of news this week. While a lot of other things have happened, everything else pales into insignificance in the context of what happened in Christchurch last Friday. The challenge over the coming weeks and months is how we can critically examine our laws and make changes that will help this never happen again on our shores, but at the same time ensuring that our fundamental rights (including privacy) are protected. This will be a difficult conversation. But right now, it's about remembering those who were most directly affected by these horrible events. And so again we share those from our sector. Syed Ali joined us in 2012. He readily adapted to kiwi culture, we went to a BBQ and he joined us at a rugby game. Then he was in Hokitika for his first big project with us. He had the full NZ immersion. His wife joined him, and later they had two wonderful children. He was so gentle and so hard working. He went off to the mosque on Friday as usual, but this time he never came back. The office won't be the same without you Syed. 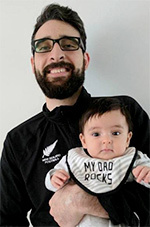 I'm really saddened to hear that Atta Elayyan was one of the people killed in the Christchurch shooting. 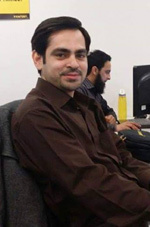 He was a brilliant entrepreneur who cofounded the software company Lazyworm Apps. I was impressed by his calculated risk taking, and by the inspiration he provided to many students, supporting them in practical ways to assist them into the tech industry. Microsoft's Nigel Parker has written about Atta here. Our thoughts very much remain with the family of these two from our tech community, along with everyone else who has been directly affected. Kia kaha to our Christchurch members and Branch Committee - we are with you.